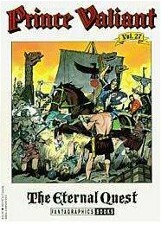 Book 50, Vikings on the Isle of Man (July 1, 1979 to August 17, 1980), is the last volume in the series, collecting the final strips written and laid out by Foster. 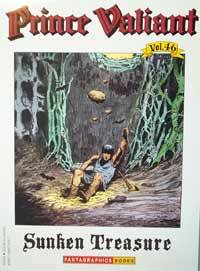 His still-powerful hand shines here, in dramatic oversize panels and a thrilling story. Value is between 15 USD for part 1 to 8 USD for part 50. 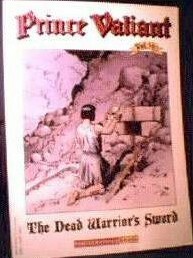 This depending on the first or second print and ofcourse the quality of the book. 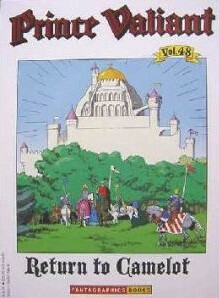 In 2009 Fantagraphic books started to re-print the series. 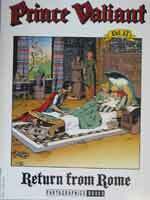 This time in big volumes, each part containing 2 years. I call this serie 2. 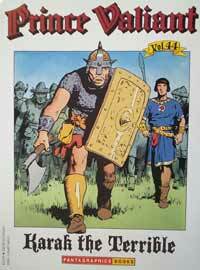 'The ultimate book for Prince Valiant fans and collectors. 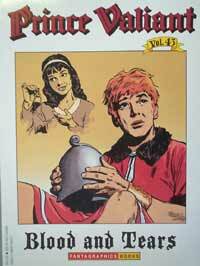 Out of print for over a decade, The Prince Valiant Companion has become a Holy Grail for collectors of the series. Now, in anticipation of the seventy-fifth anniversary of comics' longest-running adventure strip, and to celebrate their own just-launched reprinting of the strip's classic earliest years, Fantagraphics is proud to present an expanded version of this hard-to-find collector's item. 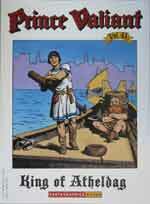 Compiled by award-winning Foster biographer Brian M. Kane, The Definitive Prince Valiant Companion beautifully and definitively showcases the careers of artists Hal Foster, John Cullen Murphy, and Gary Gianni. 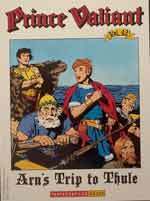 In addition to updating the original version's story synopsis section with over thirty years of material, The Definitive Prince Valiant Companion also contains rare and new articles. 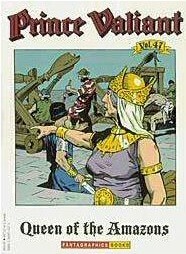 Included in this volume is a never before reprinted newspaper feature from 1949, Foster's final interview conducted by Arn Saba, an extensive interview with John Cullen Murphy, and a new interview with the current Prince Valiant creative team of Gary Gianni and Mark Schultz. 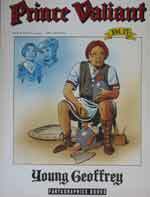 The Companion also contains a new, in-depth article by Kane on Foster's artistic influences, as well as a foreword by comics historian Brian Walker, and an introduction by Pulitzer Prize-winning author Ray Bradbury.